Worldwide minister and networker, James O. Davis crisscrosses the globe,facilitating hundreds of meetings with thousands of leaders from all streams of Christianity. 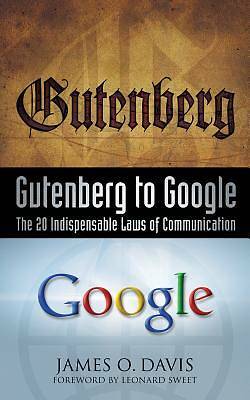 Filled with Dr. Davis' insights into the images understood by a new generation and highlighting cross-cultural wisdom, Gutenberg to Google provides seasoned pastors and young ministers alike the ability to reach the audience of today with the wisdom of the ages. Davis is a must read for all ministers who want to raise their presentations to a new level.